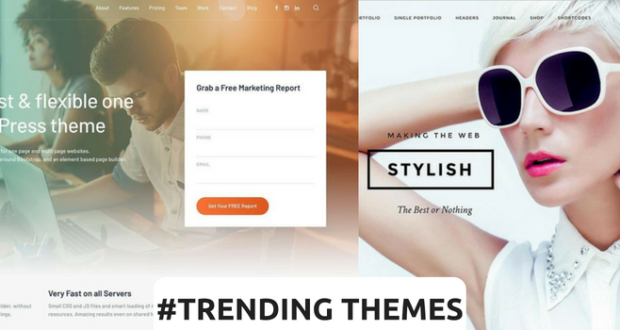 Way before you are going to put your feet into the online business world, you should be thinking about how your website is going to look like after using trending themes. It’s imperative for you to provide your audience with such qualitative content that will keep them hooked and engaged. And for that, you need a website that would look as amazing as possible, right? 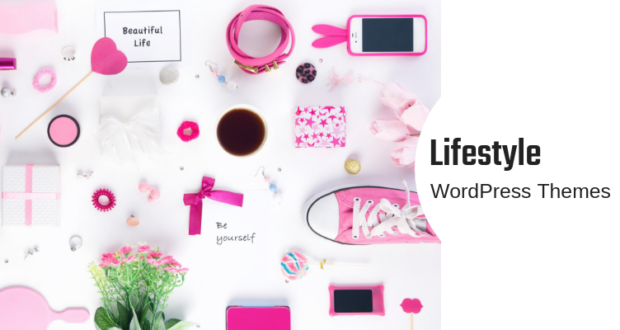 Fortunately, for WordPress users, an abundance of themes come into the limelight as a boon. Being extremely reliable, time-saving as well as highly organized platform, WordPress has been attracting both professionals and newbies towards it. And, on the top of it, themes are nothing but the icing on the cake. So, being a beginner, you will surely find it a bit tedious to discover the best theme. And, moreover, getting your hands on such a theme that would suit every niche, things will become even more exhausting. If you are unable to make a decision, you will find your worries going away here. 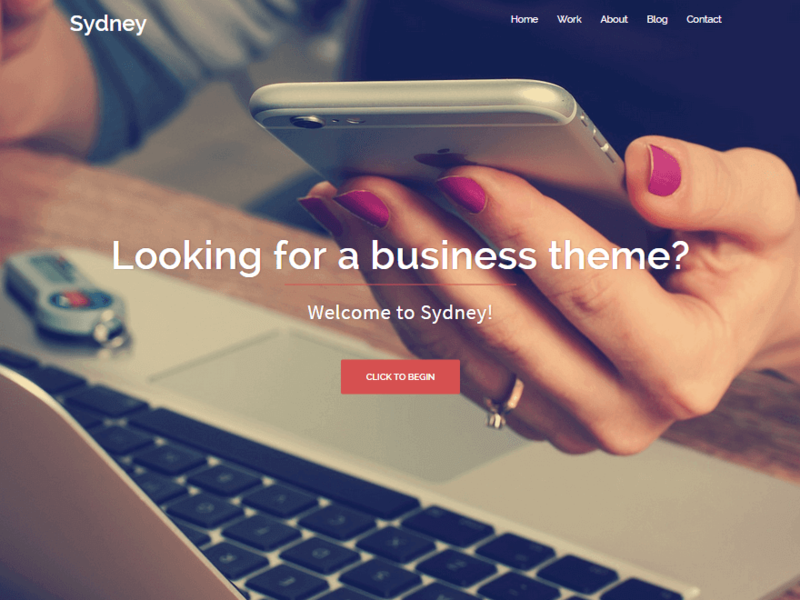 Find out some of the best themes that will surely make your website look amazing. 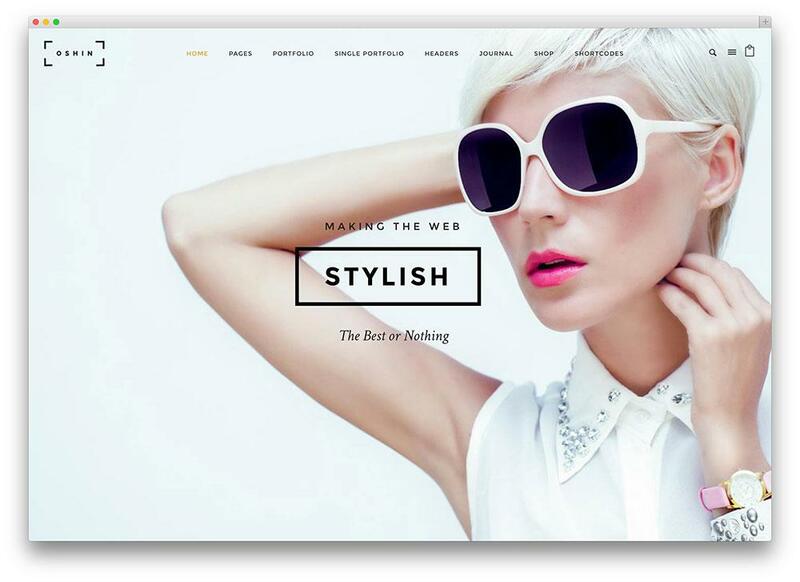 If your business demands the usage of the easy-to-use full-width slider, this theme is definitely for you. 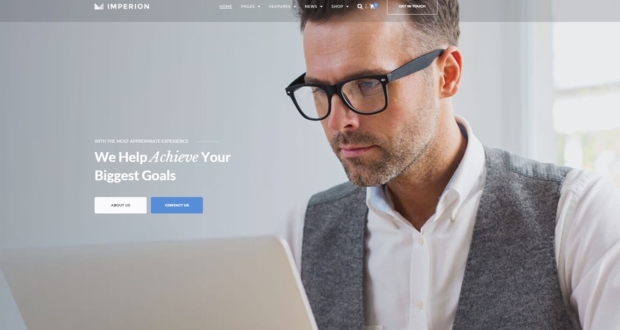 Compact One is a one-page theme meant for WordPress Business websites. 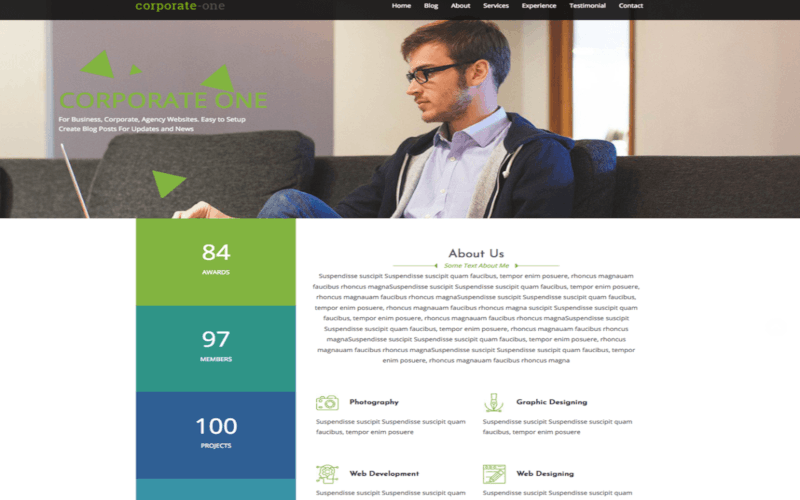 For Testimonials, Portfolio, Team, Contact Details, and more details, you can get ready to use sections in this theme. Although Compact One is a single page theme, however, you can relish the functionality of several pages along with blog posts. 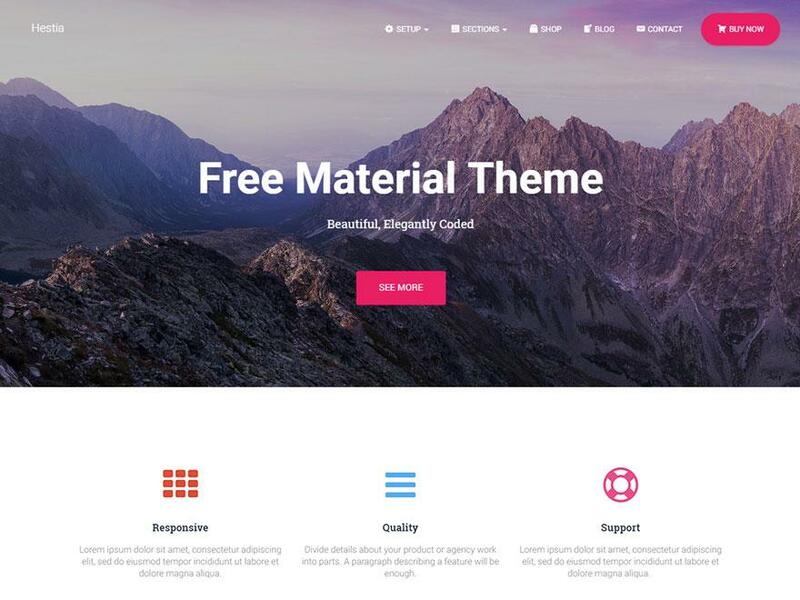 The free download of this theme also comprises Demo Data, which you can easily import to your website. 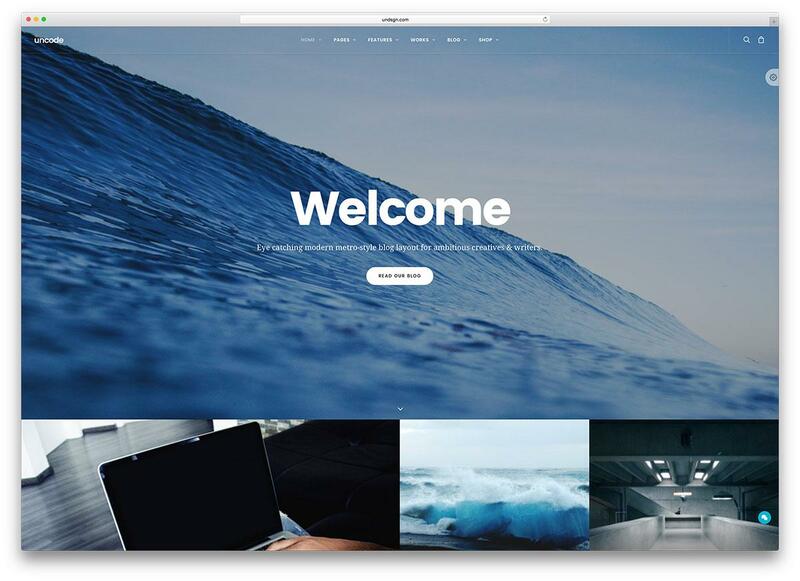 With this theme, you can get your hands on the sticky menu, sticky header, smooth navigation, option to disable or enable gradient overlay, different options for the area of slider text, portfolio/gallery, and much more. Coming from the basket of CyberChimps, this one WordPress theme is quite perfect for small and big businesses. 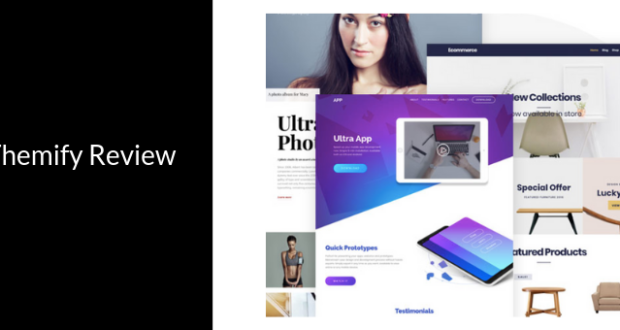 Integrated with easy-to-use and flexible full-width slider, this theme comes with ready to use sections for Services, About, Top Banner, Experience, Testimonial, and other features. With this theme, not just you can get the sticky header and smooth scrolling navigation but can even procure special mouse hover effect for your website. 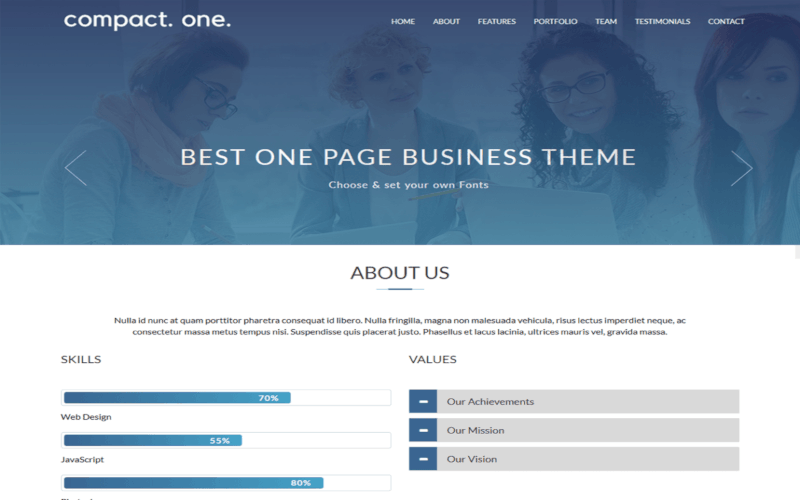 The vertical view of this theme can even help you in displaying the key values in a better way. Along with typography options, you can even add a footer image and customize this theme as per your requirements. First on the list is the theme Sydney. 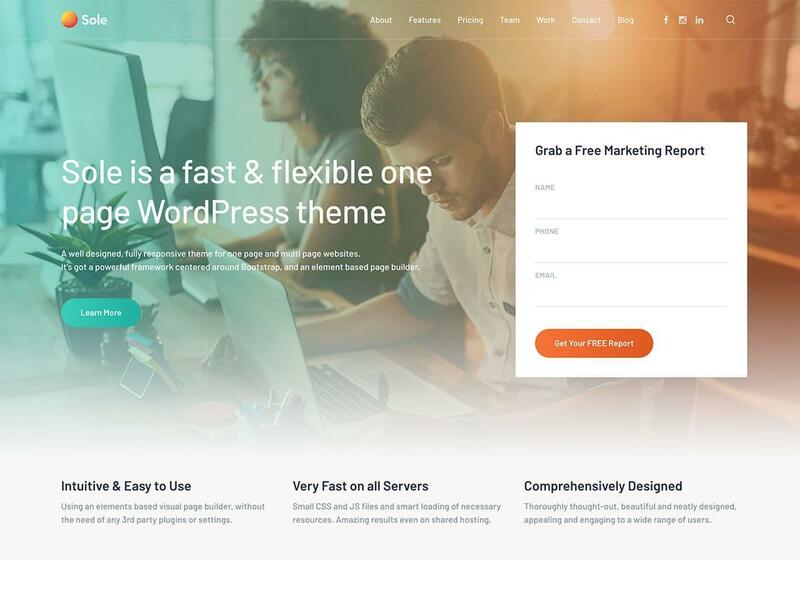 Specifically designed for freelancers and companies and among most trending themes, this theme proficiently helps you in establishing a strong presence online. Among logo uploads, google fonts, and more, you will find several other extensive options for customization.If you want to showcase promotional banners or huge images, the full-screen slider is going to work perfectly for you. Also, through the option of full-color control, you can create a remarkable environment for branding. Not just this theme is mobile responsive but can also support translation. Hence, if your target market includes such people who don’t understand your language, you can easily reach out to them. 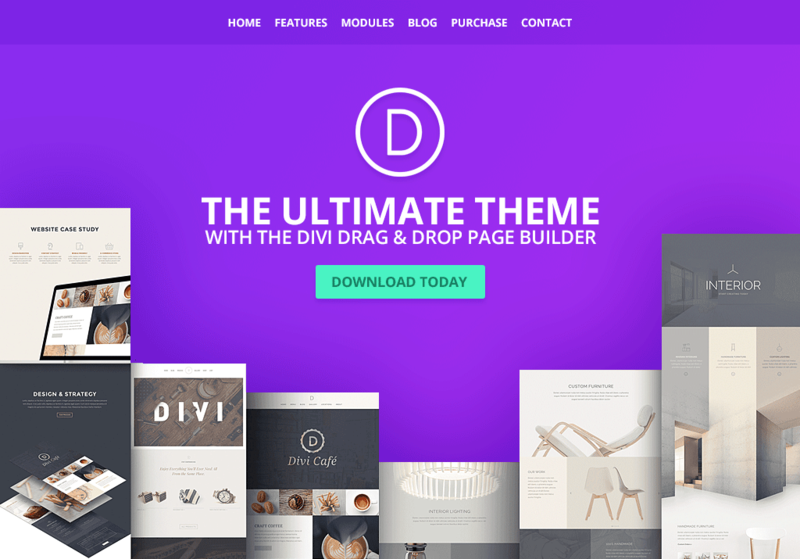 When it comes to finding such a theme that is not only abundantly creative but innovative as well, Divi should be the one to consider. This multifaceted theme can be easily adapted to develop an attractive website. It comes with configurable elements, widgets, features, and shortcodes.Furthermore, you can even avail visual interface, which is based on the high-class and limited block-based Divi Builder.It also has a drag and drops mechanism that has seamlessly reduced the time that you may have otherwise spent on building a website or getting it developed, features like these have made this theme appear on trending themes list. If you are coming up with a commerce or a business website, choosing Divi would be appropriate, owing to its several pre-built professional layouts and templates. Next on the list is this beautiful and clean WordPress theme. Along with 12 striking layouts, this one also comes with 29 demo themes. Unless you don’t want to make enough changes, you can simply replicate any of the demo themes to make your own website. Again, you can easily customize this theme as you get more than 500 different types of fonts, a countless variation of colors, 50-page builder modules of shortcodes and a lot more. Not just that, but Oshine also supports several renowned plugins, including BuddyPress, WPML, WooCommerce, Gravity Forms, etc. With this theme, you can definitely create something marvelous. With a one-page website becoming an easier and a quicker job, most of the people opt to get it developed. Since such kinds of websites are integrally simple, it doesn’t mean that you should be using generic structure or layout, right? With Sole, you will be having an opportunity to build your website as complex or streamlined as you desire. If you belong to a visually-focused business, like a creative agency, you will definitely love its in-built grid builder that will help you create a portfolio easily. Moreover, you can even develop different types of custom posts with the help of the custom post manager. However, developers of this theme have kept tech businesses and startups as their prime focus while developing demos that the theme has. With this tool, you can expect more than 70 different modules to help to build pages. Not just that, you can even find an array of options for customizing each page. And then, there are different header styles, specifically 12, from which you can choose. 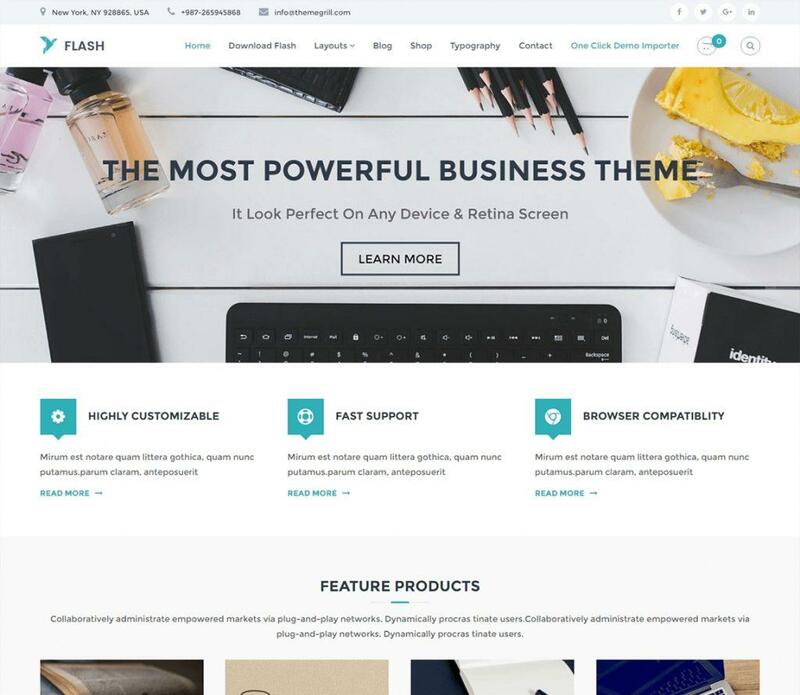 Flash is a feature-rich and extremely responsive WordPress theme that will help you immensely in building a beautiful website. For your modern website, you can bring out several professional designs and possibilities to customize from this theme. Along with this theme, a plugin will come, known as Flash Toolkit, which is specifically built to make this theme easier and user-friendly. 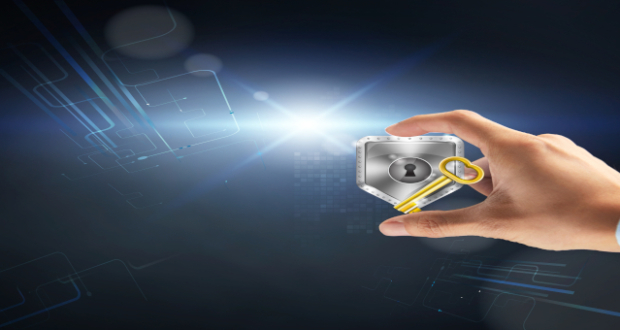 You can find more than 10 custom widgets in the toolkit that you can customize, reorder, and drag & drop as per your requirement. Furthermore, there are several blog layouts, header styles, and much more. This theme is even WooCommerce compatible; hence, you can simply design your website and start selling instantly. 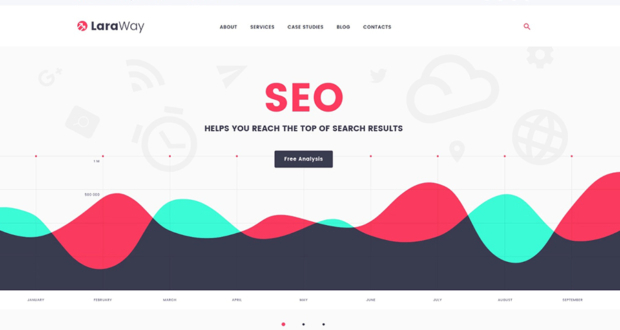 Uncode is one of the most visually gorgeous, professionally well-developed and aesthetically designed WordPress themes. By deploying the latest HTML5, CSS3, and Bootstrap technologies, a dedicated and ingenious team of developers has masterfully created this theme. 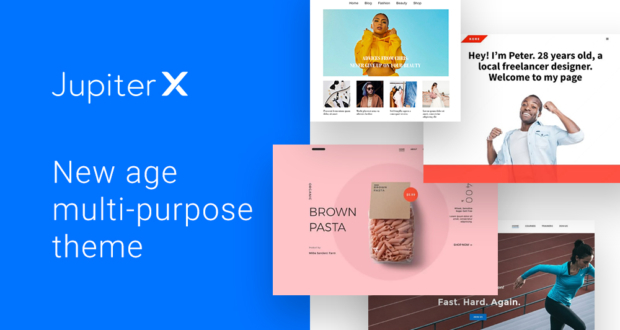 Among several other things, this theme is built with enhanced and intuitive Visual Composer page builder and different types of plugins, such as Layer Slider, Revolution Slider, etc. Extremely responsive to different browsers, this theme also comes with such a customer support that is available around the clock to help you with everything. So, in case you face any hassle, you can be sure of the utmost support. 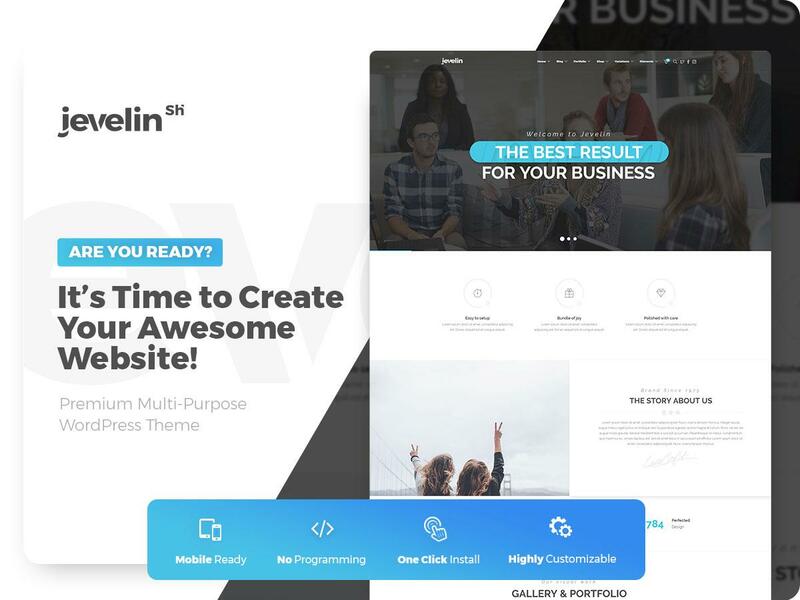 Moving forward, Jevelin is a comprehensive, thorough, advanced, versatile, and extremely responsive theme for WordPress. Regardless of the industry, you are covering, this theme is meant to design a pliable website for you. Taking away the hassle of coding from you, this theme allows you to develop websites just with a few clicks.Since it comprises a spontaneous drag & drop page builder, the theme eases out the customization and designing part for you.Right from styling to color schemes, animation, and everything else, you can apply an array of features just with a few clicks. With a gamut of options at every corner of the theme, this one focuses on better visual liberty. Easy-to-access choices of styling let you customize the layout of the footers section. Not just that, but with the help of native RTL support, you can eradicate the language barrier and reach out to your audience across the globe. Probably, there might not be anything as amazing as not paying for an alluring theme like this one. Be it agencies, blogs, eCommerce websites, or any other profile, this one theme matches the requirements of almost every business. Not just you can represent images in a voguish manner but can also represent your services with icons; hence, this theme is quite a game for startups. The responsiveness of this trending themes has been tried & tested on tablets, computers, and mobiles. At the backend, the drag & drop builder can help you to a great extent. Furthermore, Hestia is even filled up with several SEO tools and is ready for translation, too. If you are contemplating to build an eCommerce shop, the mega menu and custom background features will turn out to be beneficial for you. 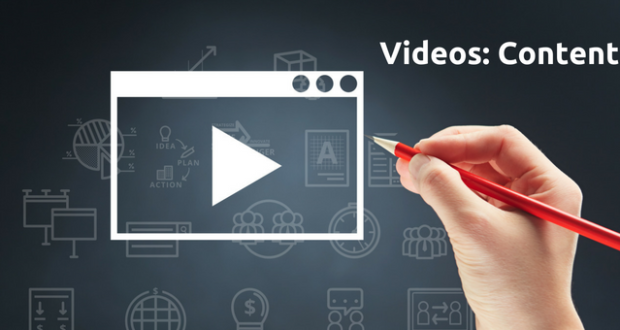 The theme also has video tutorials, in case you may need an experience in visual learning. As far as the homepage content is concerned, you’ll get an enchanting slider along with overlaying buttons and text. Along with contact forms, testimonials, subscribe forms, team module, you can get several other amazing features. When talking about themes, there surely would be a myriad of them. They are free, and they are paid. Now, it depends on your requirements. Not just the individual ones, but you can even grab a package that contains several themes all at once. Therefore, you would never have to settle for one theme and you can keep on updating with time. So, the call is yours. If you haven’t been able to develop a website, choose a theme, and get on your journey now. Ananthakrishnan is a digital marketer, web designer, blogger, creative genius and the author of this post. When he is not working you can find him at his house, playing video games.